Have you noticed how hair on your body sometimes grows back into your skin creating an elevation on the skin, and sometimes a painful bump? You may have noticed it especially after you remove hair using a razor, wax or any other kind of hair removal method. Though practicing improper hair removal methods is the most common cause of in-grown hair, hormonal imbalances and unhygienic conditions of hair removal too could be reasons for it. Wearing tight clothing most of the time can cause in-growths to form easily. Typically, you would notice such hair in-growths to appear after a session of hair removal. Sometimes, these hair in-growths can get infected with pus formation too. Here are a few simple tips to take care of your skin and prevent these in-growths from playing havoc on it! - Make sure your hair removal equipment is clean and sanitised. - Preferably, shave in the same direction of hair growth. - Avoid wearing tight fitting clothes as these can press hair close to your skin and accelerate in-growth formation. - Using a scrub to exfoliate your skin can help remove in-grown hair. - If you wax all the time, make sure your hair has grown fully. - Use a moisturizer to keep your skin moisturized. 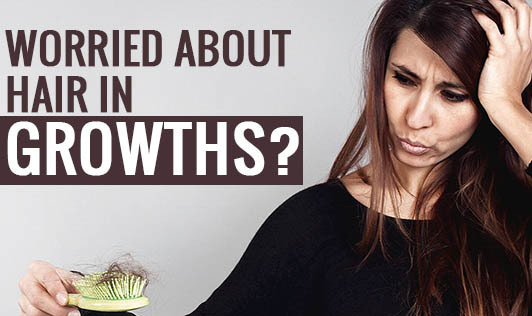 Hair in-growths are preventable with the right kind of skin care. You don't have to look at expensive means of treatments like laser and skin peels for them. Follow these simple tips to prevent it in the best way.